As followers of Christ, we often come together to cry out to God on behalf of our nation. In doing so, we acknowledge there are no human solutions to the tidal wave of evil in our land and that nothing short of divine intervention can overcome the darkness and lostness of our world. But I believe we need to remind ourselves there are some prayers God will not hear; there are some solemn assemblies He will not attend; there are some fasts that are not pleasing to Him. When the children of Israel came to fast and pray with unclean hands and hearts, God said, “Though they cry in my ears, with a loud voice, I will not hear them” (Ezek. 8:18); “Even though you make many prayers, I will not listen” (Isa. 1:15). In fact, the Scripture goes so far as to say that our prayers and our fasts are actually an abomination to Him if they are not accompanied by humility and repentance. We would all be quick to agree about the need for repentance outside the walls of our churches. But are we as quick to recognize our own need for repentance? We decry the sin of our world. But have we not tolerated virtually all the same sins in the Church? We face a danger of feeling that the problem is somewhere “out there”—in Washington, San Francisco, or Hollywood, on our college campuses, or among nominal church members. But as we read the Scripture, we see that the sternest words of reproof were issued, not to the pagan world, but to the people of God. Hear, O heavens, and give ear, O earth; for the Lord has spoken: “Children have I reared and brought up, but they have rebelled against me. . . . Ah, sinful nation, a people laden with iniquity, offspring of evildoers, children who deal corruptly! They have forsaken the Lord, they have despised the Holy One of Israel, they are utterly estranged. Why will you still be struck down? Why will you continue to rebel? The whole head is sick, and the whole heart faint. From the sole of the foot even to the head, there is no soundness in it, but bruises and sores and raw wounds; they are not pressed out or bound up or softened with oil.” . . . How the faithful city has become a whore (Isa. 1:2, 4–6, 21). Throughout the Old Testament, the Father/Husband heart of God grieved over the waywardness of His chosen people. Time after time, He begged them to repent. And when they refused, the Hound of Heaven pursued their stubborn, sinning hearts with painful discipline. In the New Testament, we hear Jesus’ indictment against the spiritual leaders of His day—men who were renowned for their much fasting and praying: “This people honors me with their lips, but their heart is far from me” (Matt. 15:8). The opening words of Jesus’ ministry here on earth were not, “Fast and pray!” but “Repent!” And when the ascended Lord Jesus looked down from His throne in heaven, His final message to the churches was not, “Go and preach the gospel,” but, “Repent!” For an unrepenting church has neither the motivation nor the capacity to fulfill the Great Commission of our Lord. I have been asking God to help me see what He sees when His all-knowing eyes examine the church in America. The picture is not a pretty one, and the truth is painful to admit. But we have got to get honest if we ever hope to get God’s attention. The truth is we have not only flirted but actually fornicated with the world. When it comes to how we live, how we think, how we look, and how we sound, we have become virtually indistinguishable from the world outside the church. We have bought into the world’s philosophies and practices. Whereas the church used to tell the world how to live, now the world is telling the church how to live. We have accommodated to the culture rather than calling the culture to accommodate to Christ. We have utilized nearly every worldly method conceivable to attract the lost and, in many cases, have lost both our distinctiveness and our effectiveness. We have built our ministries on pragmatism—“whatever works”—without stopping to evaluate if the means we are using are in accordance with the ways and Word of God. Whatever happened to the power of God? Have we become more dependent on methods, techniques, strategies, and programs than on prayer and the Holy Spirit? Have we lost confidence in the power of the Word to convict, the gospel to convert, and the Spirit to draw men to Christ? We have seen what human effort, ingenuity, creativity, and technology can do; we know what money, organization, and promotion can do. But we have yet to see what God can do! We care more about public relations—how our constituents view us—than about how God views us; we are more concerned about our reputation than His. In our seeker-driven mindset, we are more worried about offending visitors than offending God. We are more concerned about people “feeling good” than about their “being right.” We want people to leave feeling good about church, about us, and about themselves—never mind that they have grossly offended a holy God and are under His condemnation and wrath! In an effort to make Christianity palatable to our soft, self-centered generation, we have preached a diluted message that sidesteps the issue of sin, eliminates the demands of the cross, and overlooks the need for conviction and repentance. In an effort to make our message relevant, we have ended up preaching “another gospel” that is no gospel at all. We have preached Christianity as a way to find fulfillment rather than a calling to take up the cross and follow Jesus. Inside the church itself, in far more ways than we care to admit, we have failed to live by the Scripture. Like King Saul, we say we have obeyed the Word of God. But how do we explain all the evidence to the contrary? For example, we are a community of the forgiven who refuse to forgive. We live with unresolved conflicts—in our homes, among church and ministry staff, and in the pew. Further, we have ignored or rejected biblical standards for spiritual leadership. Instead, we exalt giftedness over godliness and elevate men whose lives and homes are far from conforming to the standard of Scripture. We brush known sin under the carpet. Why do so few churches practice biblical church discipline? And why are professing believers who refuse to repent allowed to continue as members in good standing? The Bride has forgotten how to blush. We sin without shame; we have lost our ability to mourn and grieve and weep over sin. Even our language betrays our theology of irresponsibility—we speak of leaders “falling” into sin rather than acknowledging that these men and women have chosen a pathway of compromise and gratifying the lusts of the flesh. In our casual brand of Christianity there is little sense of the fear of the Lord. How else could millions of churchgoers sit under the preaching of the Word week after week and leave unchanged? How else could so-called believers who claim to believe in holiness sit in their living rooms watching television and laughing at ungodly jokes, lifestyles, and philosophies? When is the last time you saw God’s people tremble at the Word of the Lord (Isa. 66:5)? When is the last time we trembled at the Word of the Lord? Should it come as any surprise that the watching world should reject our message, when our lives bear so little witness to its truth and power? At the heart of our problem is that subtle, deadly sin of pride. We are proud of our doctrinal correctness, proud of our spiritual accomplishments, proud of our stand on moral issues, proud of our reputation and our level of sacrifice. Pride causes us to be self-righteous, self-congratulatory, and self-sufficient. It blinds us to our true condition and our great need. It causes us to fear men rather than God. Pride causes us to compare ourselves to others and breeds a competitive, critical spirit. Our pride is strangling the life of Jesus right out of the church. Yet even as we list these sins, some of us may feel that we have not rejected the ways and the Word of God. Then could I ask you some questions God has been asking me in recent days? If we are so close to God, where is the passion? Where are the tears? Why are our eyes dry and our hearts dull? Where is the groaning, the crying out in soul travail? Where are those who cry out with David, “It is time for the LORD to act, for your law has been broken” (Ps. 119:126)? Where are the Isaiahs who stir up themselves to take hold of God, praying fervently, “Oh, that you would rend the heavens and come down” (Isa. 64:1)? Where are those who plead with the psalmist, “Restore us, O LORD God of hosts! Let your face shine, that we may be saved” (Ps. 80:19)? Where are those who abhor sin, whether in the world, in the church, or in their own breast, who cry out, “Hot indignation seizes me because of the wicked, who forsake your law” (Ps. 119:53)? Where are the Jeremiahs whose hearts are in anguish and whose eyes overflow with tears for the desolation of God’s people? Where are the prophets who are willing to risk their reputation, their retirement funds, and their acceptance within the Christian community in order to say what needs to be said to our generation? Where are the men who are sounding the alarm to wake the church out of her sleep and lethargy? Is not God’s Word like a fire and like a hammer that breaks the rock in pieces? Then where is the preaching with conviction, confrontation, divine fire, and Holy Spirit anointing? Where is the urgency, the solemnity, when we talk to men about eternity and the condition of their souls? Where is the intensity and terror when we speak of the judgment and the wrath of God? Where, for that matter, is the tenderness and passion when we speak of the loveliness, the beauty, and the grace of our Lord Jesus? 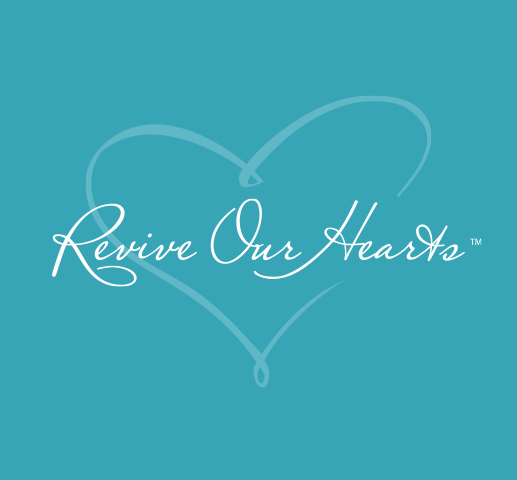 Have our minds been engaged without our hearts being ravished? Where are the hot hearts, set aflame by the coal from the altar of the Lord? Where are the men who have been with God, who have tarried in His presence until they have heard His Word, and then descended from the mount with the glory of God radiating from their faces and the power of God reverberating from their hearts? Where are those who refuse to be satisfied with explainable, status quo ministry, but who expect to see hell shattered at the feet of Jesus when they go forth in His name? Having shown Ezekiel the abominations taking place in the inner court of the temple, God sends forth into the holy city a man with a marking pen. He is told: “Pass through the city, through Jerusalem, and put a mark on the foreheads of the men who sigh and groan over all the abominations that are committed in it” (Ezek. 9:4). Then executioners are sent into the city with instructions to slaughter all who do not have the intercessor’s mark on their forehead. And says the Lord, “Begin at my sanctuary” (Ezek. 9:6). In that passage, there are only two groups of people: those who are the cause of the problem and those who grieve and mourn with repentant hearts. There is no middle ground. We know for sure of One who carries this burden on His heart. What grief must the Savior feel as He beholds His adulterous Bride in her tattered, stained, threadbare wedding garments? He who became sin for us, that we might become the righteousness of God in Him—He who shed His precious blood to purchase for Himself a holy Bride without spot and without blemish—what must He think, what must He feel, as He sees His Beloved One seduced, infatuated, and defiled by the world? If our hearts are not broken over what breaks the heart of God, then we are part of the multitude that is in danger of His chastisement and in desperate need of repentance. God calls us to repent—to be afflicted and mourn and weep—first over our sin, for He will not hear or heed our prayers for our nation, as sincere as they may be, until we have first humbled ourselves and repented of our wicked ways. “It is time for judgment to begin at the household of God” (1 Peter 4:17). I suggest we go to our knees and humble ourselves in the presence of the Lord—each of us asking God to search our own heart. Would you join me in praying . . .
Oh God, it’s not my brother, not my sister, not my pastor, not the deacons; it’s not the church or the ministry down the street—but it’s me, oh God. Please shine the light of Your holiness into the innermost parts of my heart. Show me how I have sinned against You, how I have been a part of the problem rather than a part of the solution. Show me where I need to repent. As the Holy Spirit brings conviction to our hearts, let’s humble ourselves, confess our wicked ways, and plead with God for mercy and forgiveness. “Let us test and examine our ways” (Lam. 3:40). Let us “return to [Him] with all [our hearts], with fasting, with weeping, and with mourning” (Joel 2:12). Adapted from Begin at My Sanctuary © 1996 Nancy DeMoss Wolgemuth. Published by Revive Our Hearts.